I have been busy making a few Christmas cards because it is that time of the year and I am not really prepared. I always seem to leave Christmas cards to the last minute. I have got so much Christmas "stuff" that I decided to use only what I have got and not go out and buy the latest collections. These are the 7 I have made so far. They are all pretty simple. This one is the simplest of them all. 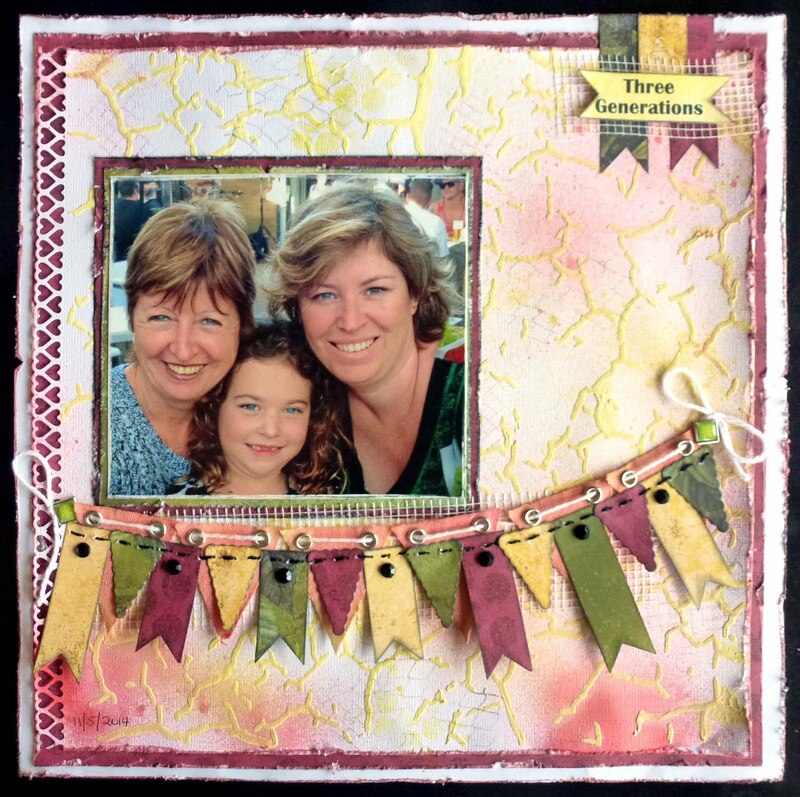 I have made a panel using some Kaisercraft Rub-Ons from the Christmas Carnival collection from a few years ago. 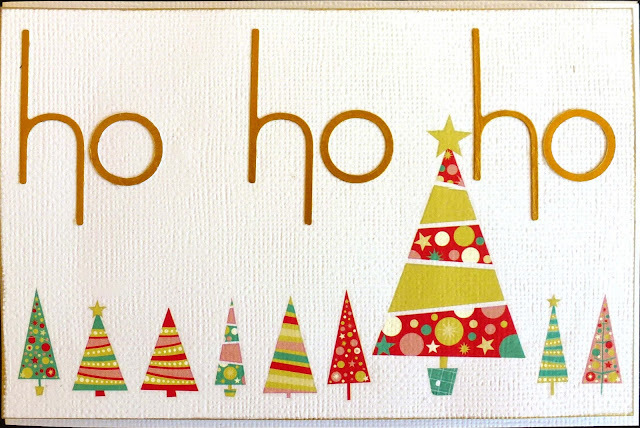 The Ho Ho Ho is cut from gold cardstock using Sizzlits Cherish Alphabet dies. I have then mounted the panel on some cardboard and attached it to a white card base. I have cut the owl bauble out of some Kaisercraft paper using my Scan N Cut and a free cut file from Brother. 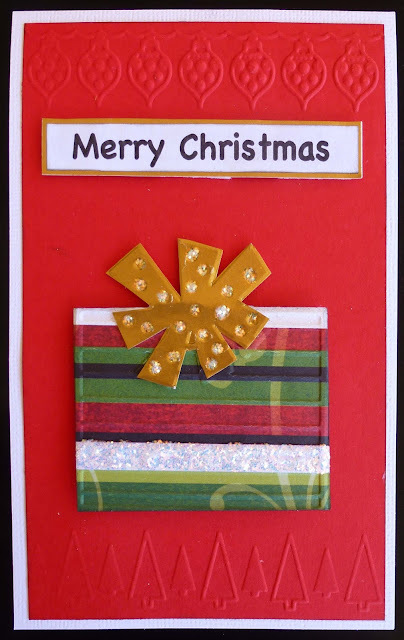 A piece of thin red ribbon has been threaded through the hole of the bauble and then the bauble and the ribbon have been attached to a white cardstock panel. 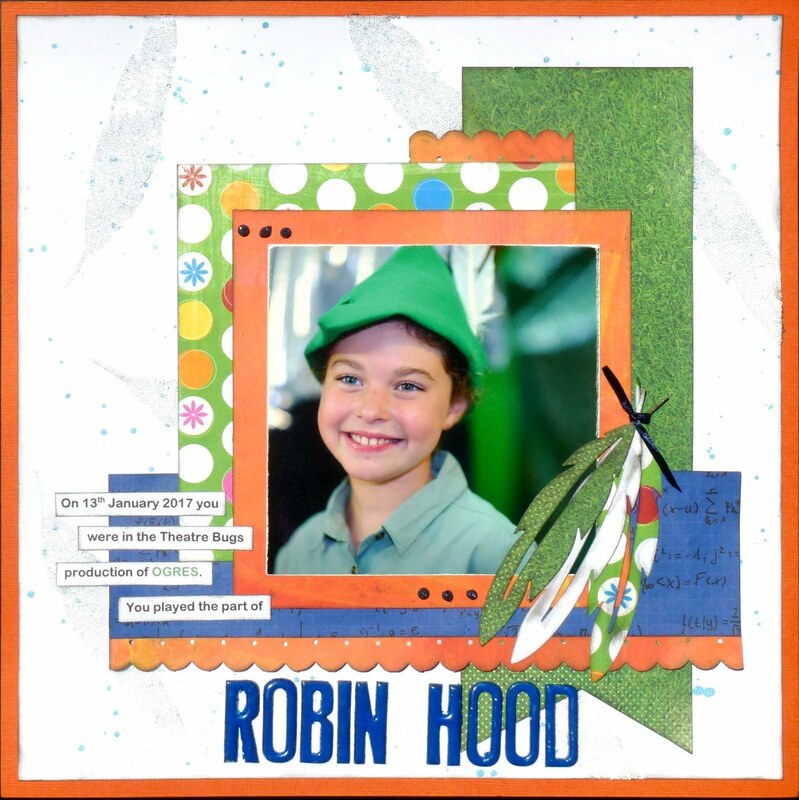 The greeting was cut from a sheet of Creative Imaginations patterned paper and mounted on a piece of red cardstock that is the same as the card base. 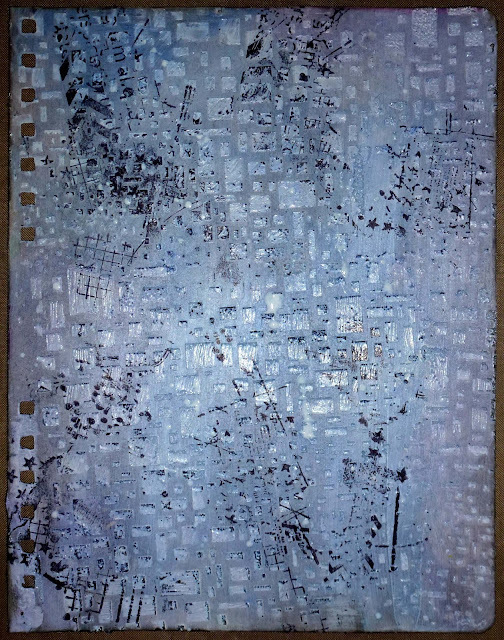 This was then foam mounted and attached to the panel. The panel has then been attached to a piece of cardboard and attached to a red card base. 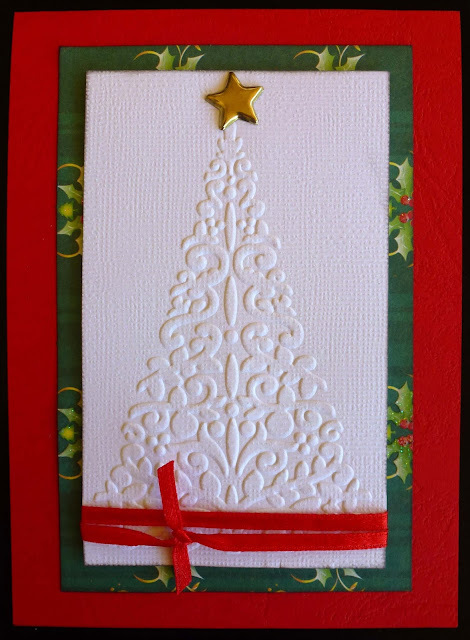 I embossed this Christmas tree onto some white cardstock (I don't know the brand of the embossing folder) added a star brad and some red ribbon. 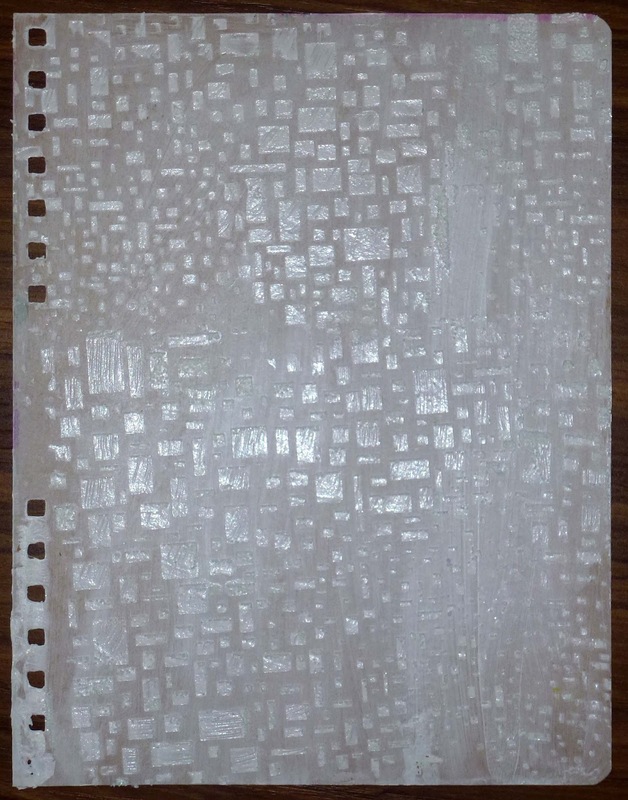 This was attached to a piece of patterned paper with foam mounting tape and the the patterned paper was attached to the red card base. To make the baubles for this card i stamped the music notes onto a piece of white cardstock then covered the cardstock with Matt Gell Medium and sprinkled glitter all over it and set it aside to dry. When it was dry I used my circle dies to cut two different sized circles from the treated cardstock. I then cut some slightly larger circle out of gold cardstock to matt the circles and made a little "thing" on the top to look like the bit that holds the ribbon. I took a piece of white cardstock 1/2" smaller than my card base and embossed it with a Cuttlebug embossing folder. This was also matted with gold cardstock. The greeting was printed from my computer and mounted on gold cardstock. 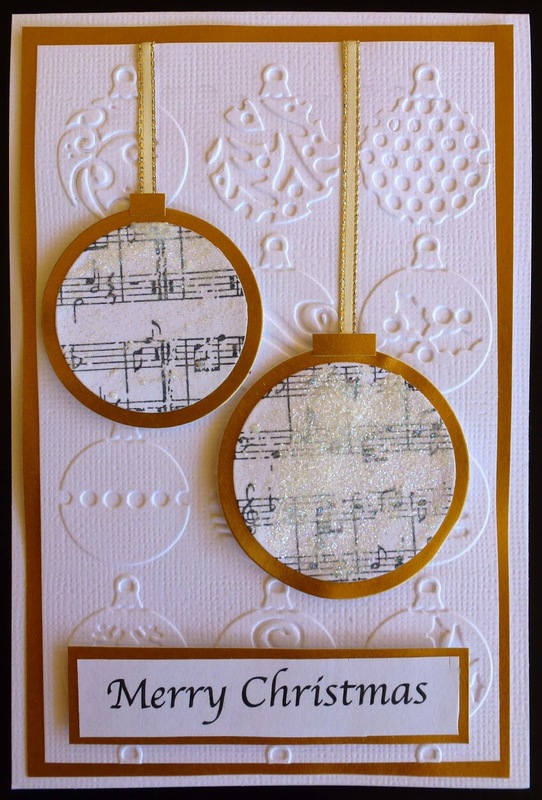 To assemble the card I attached the gold ribbon to the embossed panel, foam mounted the baubles and the greeting. Then I attached the white panel to the gold panel and then attached the whole thing to the white card base. 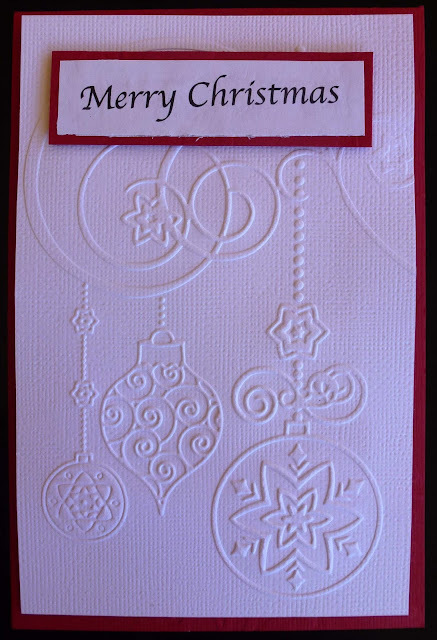 For this card I have embossed a white panel with a Cuttlebug embossing folder. 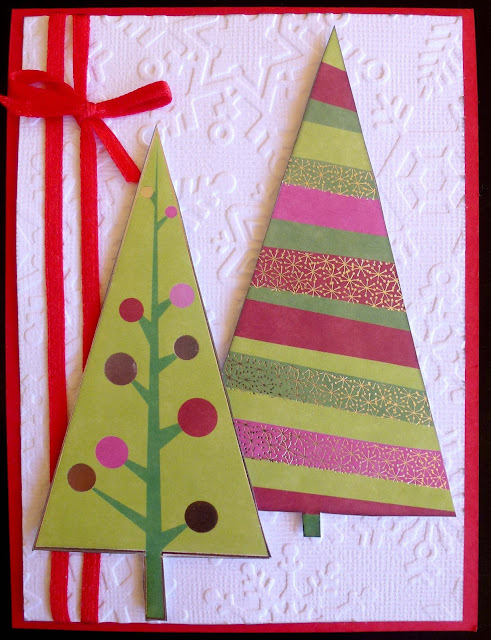 We live in Australia and never have snow at Christmas so I very really use snow related embellishments on my Christmas cards but I had the folder so I thought I would use it. I wrapped a piece of ribbon around the panel a couple of time and then used foam tape to attached a couple of Christmas Trees that I had cut from a sheet of patterned paper that I have had for ages and can't remember the manufacturer. Once again a white cardstock panel was embossed. 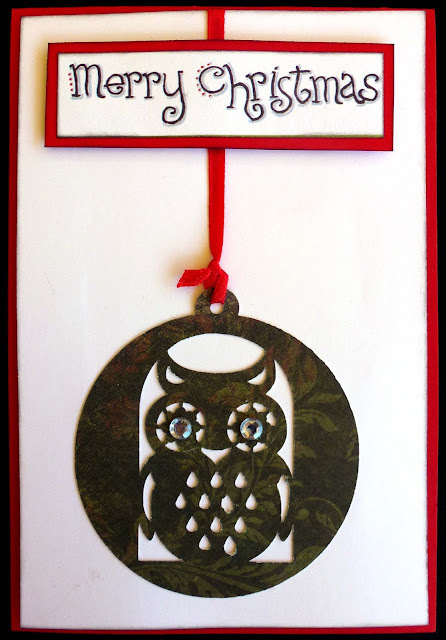 This time I used Papermania's Baubles embossing folder. A greeting that I had printed was attached to a red matt and attached using foam tape. 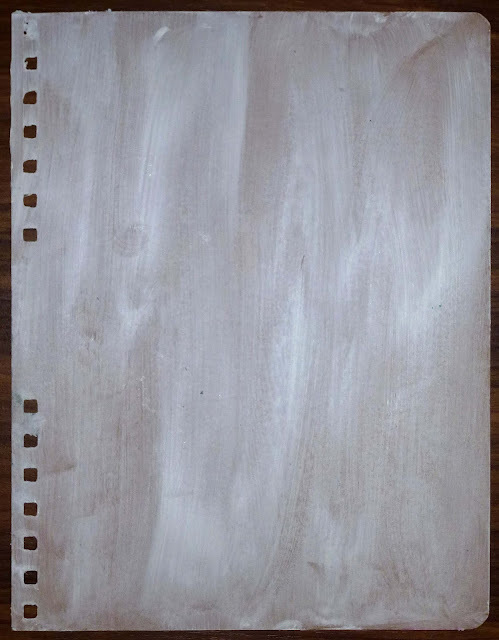 The panel was attached to a piece of cardboard and then attached to the red card base. 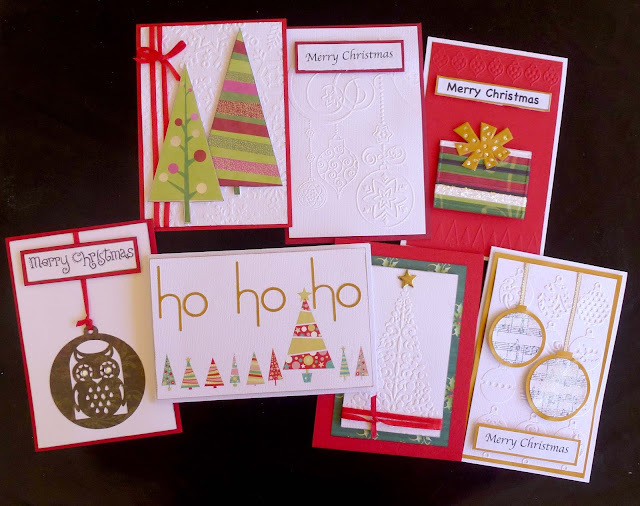 For the last card today I cut panel of red cardstock and embossed at the top and bottom using two different folders from the Papermania Christmas Borders embossing set. 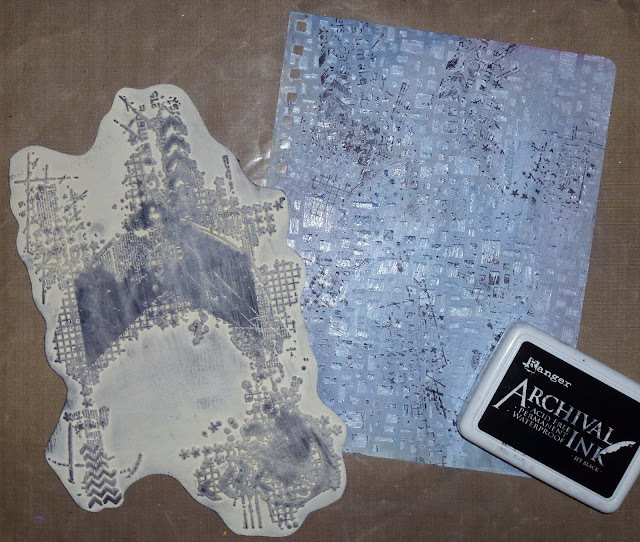 I then cut out and embossed the parcel using Cuttlebug's Beautifully boxed set of embossing folders and die. I cut this twice, once in patterned paper and once in gold cardstock so I could make the bow a different colour. The greeting is once again something I printed out and attached to a piece of gold cardstock. Both the greeting and the parcel were foam mounted on the red panel, which was then attached to the white card base. Thank you for getting all the way through it. The photo is of my paternal grand parents at their son's wedding in 1953. Just love the photo. 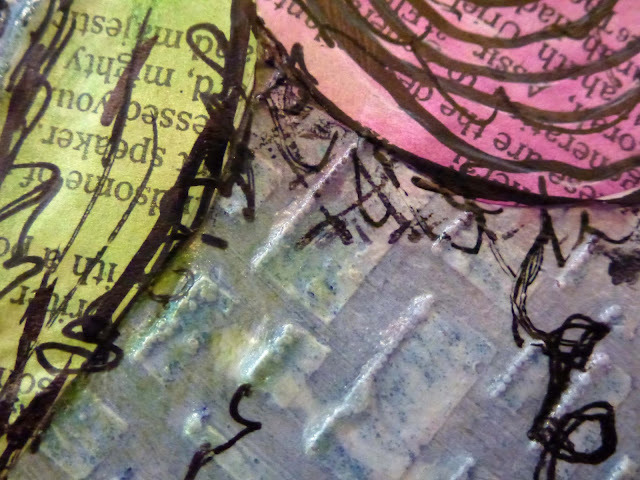 Layers are one of the easy, go to techniques I use very often. 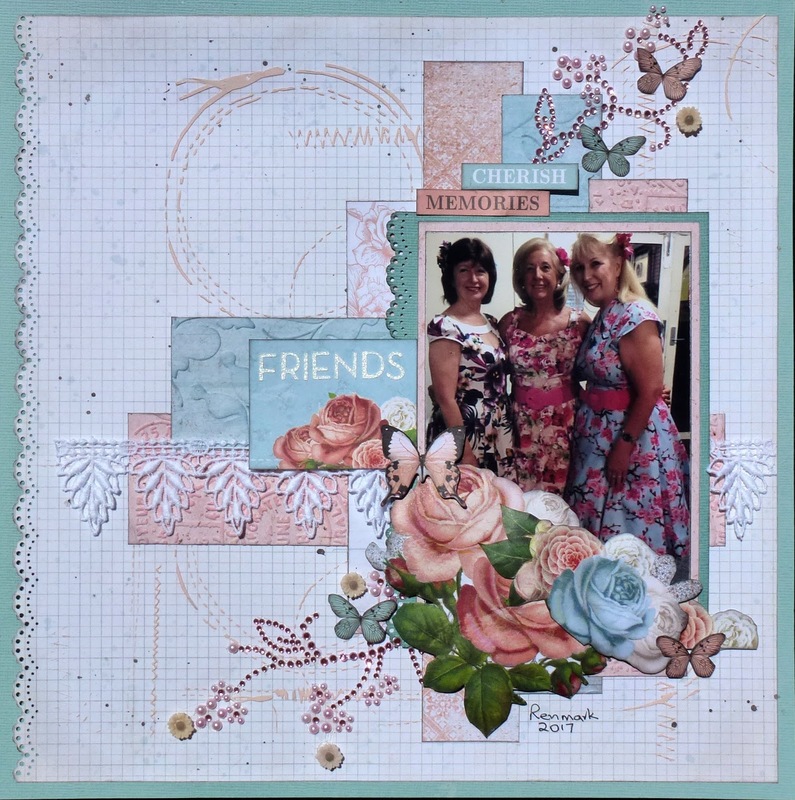 They look great weather it is a vintage layout or a modern layout and just add so much interest. I have use some Texture Paste that I coloured with acrylic paint through a stencil on the background. 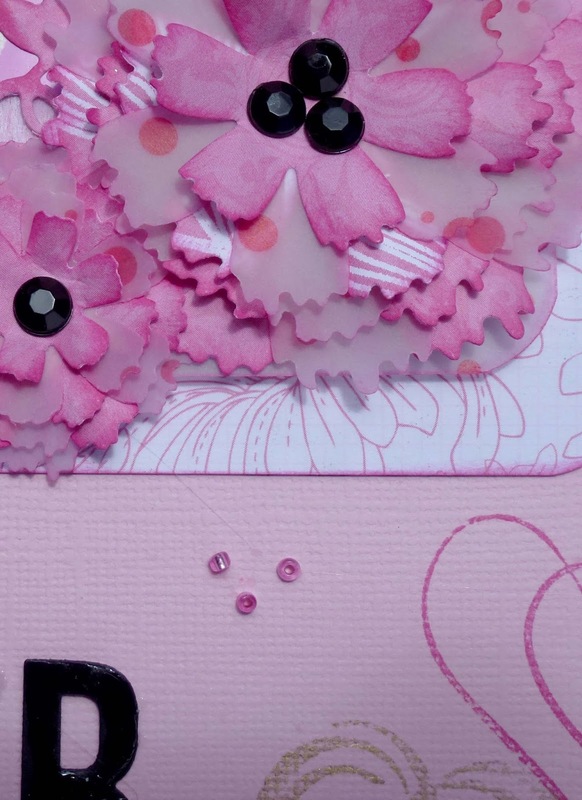 The paper range is Ooh La La by Kaisercraft. I have added lace and medical gauze that I coloured with Glimmermist. 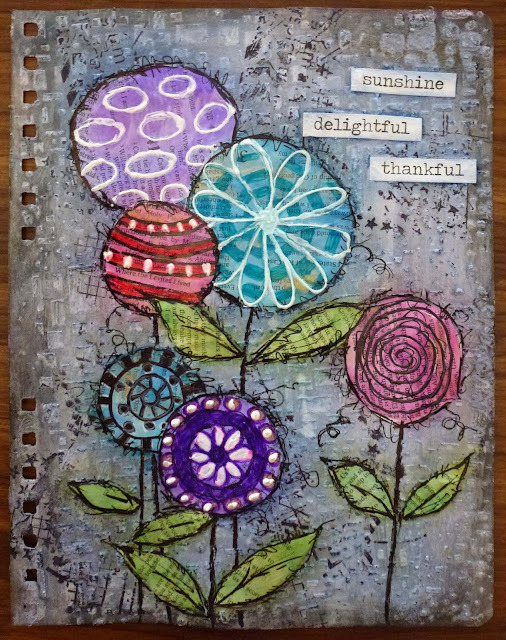 The flower is hand made using Tim Holtz Tattered Florals die. 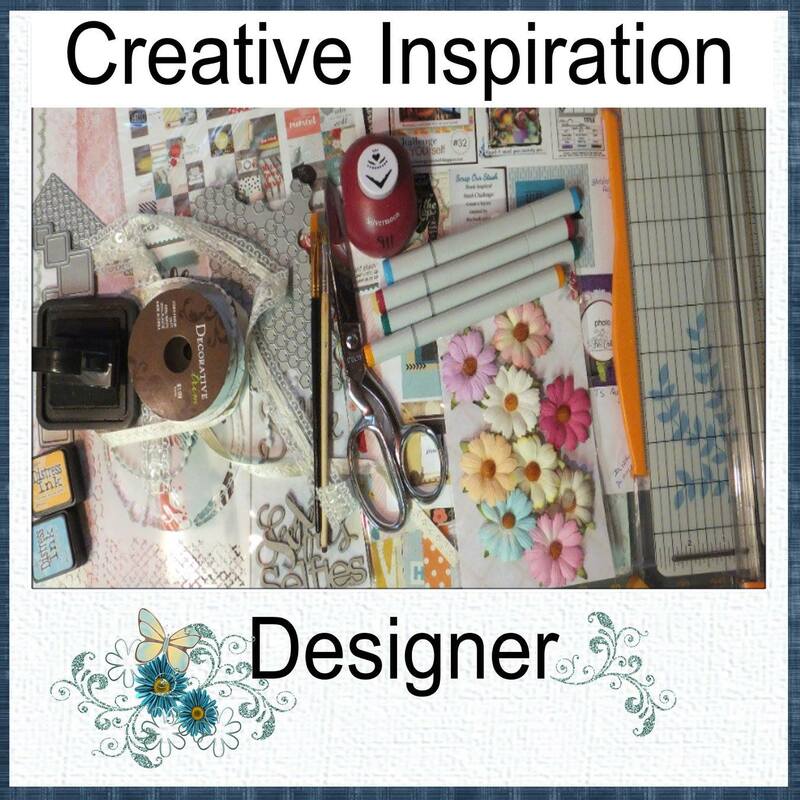 Why not pop over to Creative Inspiration and check it out. 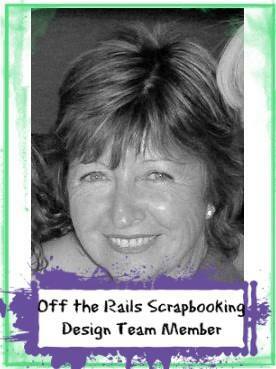 Today I am sharing a "How to" over at Off The Rails Scrapbooking. I really had fun making this. 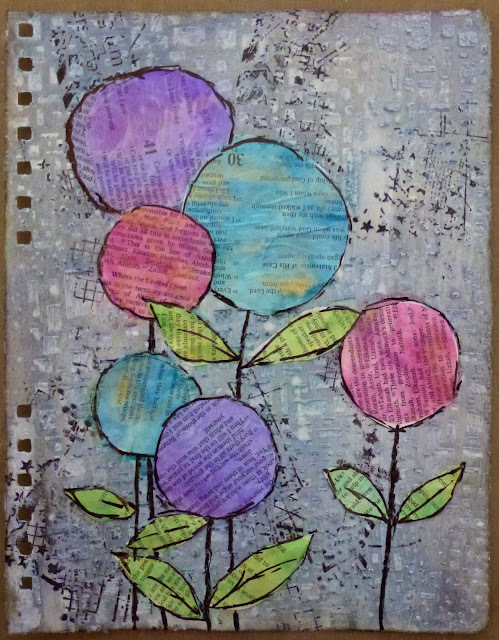 I find that my interest in Art Journalling is growing and I just love the variety of techniques that are waiting to be tried. I am using a Finnabair Art Journal that I have had for a few years. 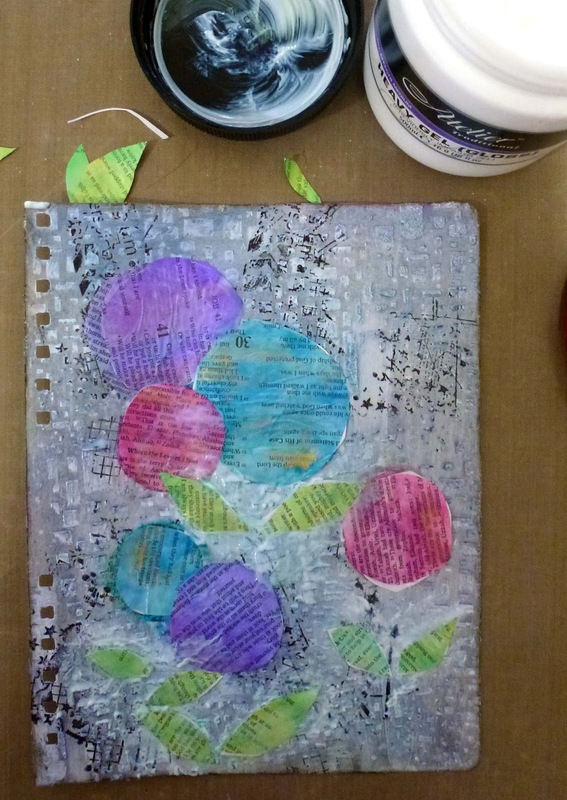 I have taken the journal apart so it is easier to work on each page and when I have completed all the pages I will re-assemble it. 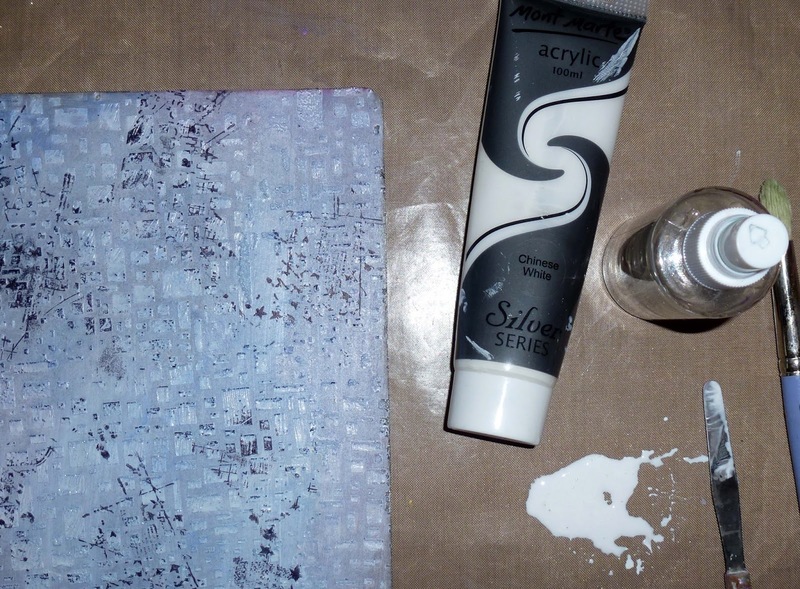 The pages in it are a kraft colour so I have applied a light coat of Gesso to tone it down. When everything was dry I used Distress Ink's and a blending tool to apply Dusty Concord and Broken China to the entire background. 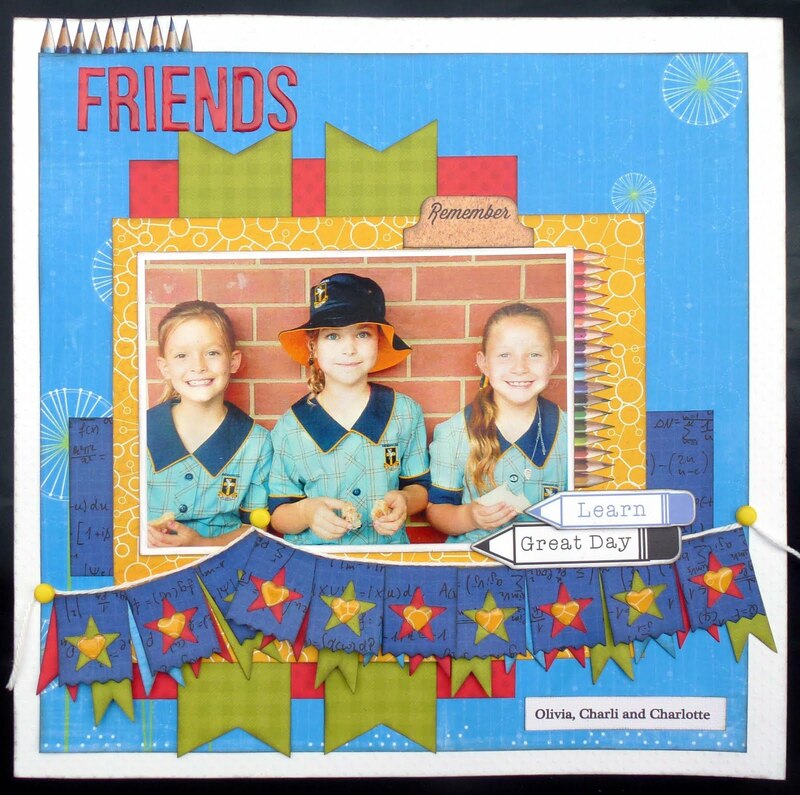 Extra texture for the background was achieved by stamping with Archival Ink and Carabelle Studio's art stamp XXL "Texture Chevron et Quadrillage"
I then watered down some white acrylic paint and added some splatters all over the page. 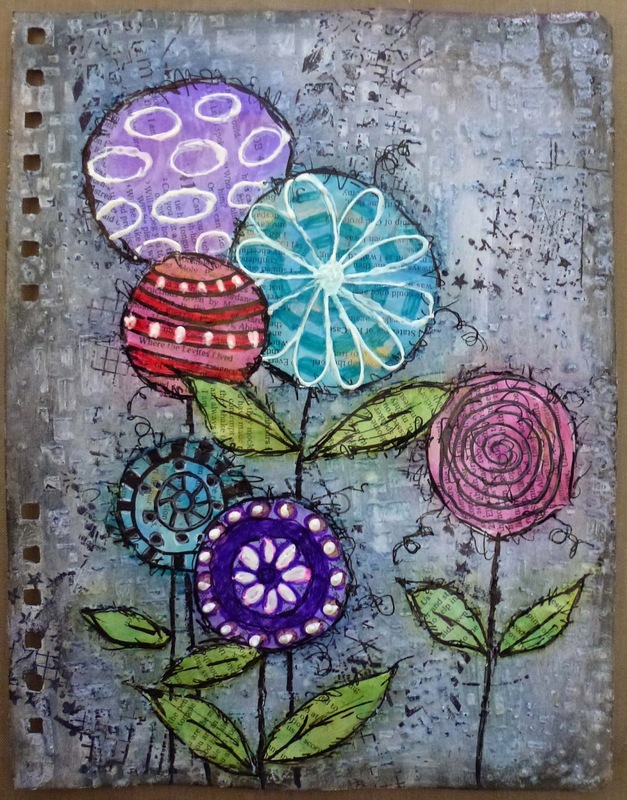 To create the flowers I took some book paper and coloured them with an assortment of Twinkling H2O's. 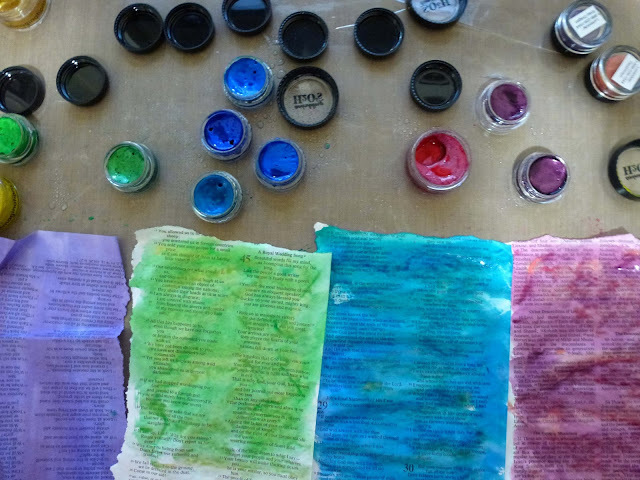 I used at least 2 shades of each colour and some gold on each of the sheets. 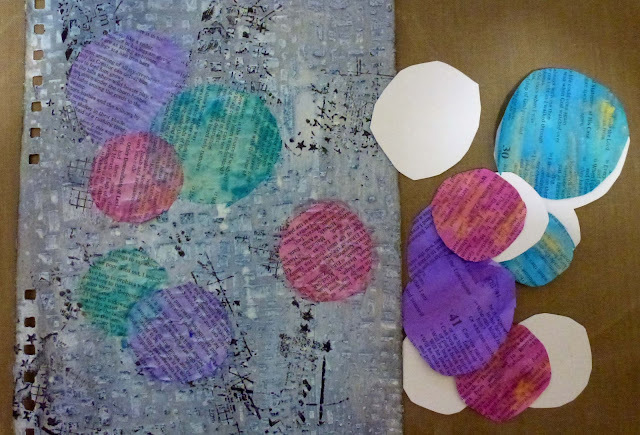 I cut circles in varying sized from the book paper and stuck them to my page using Gel Medium but they faded too much into the background for my liking so I cut more circles from the book paper and corresponding circles from white cardstock to put behind the book paper to make it stand out from the background more. 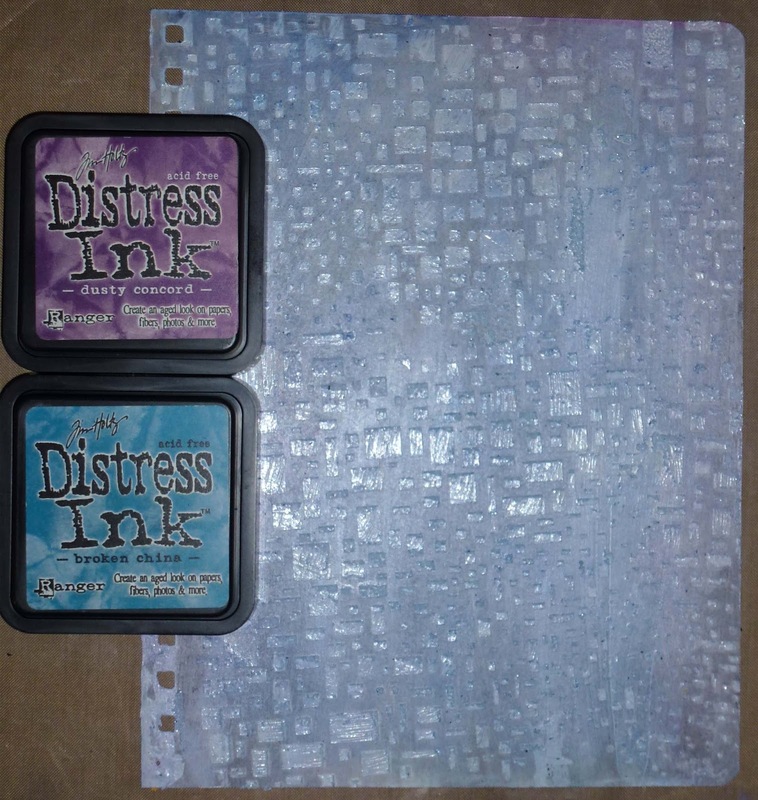 I attached these with the same Gel Medium. They definitely stood out more but were not really as dark as I would probably have liked. Outlining the focal points was next. For this I actually used a normal biro. I have done this before and found that it is not waterproof so if you are going to do this be aware of that. This made everything stand out much better. Lastly I added the title with shading. 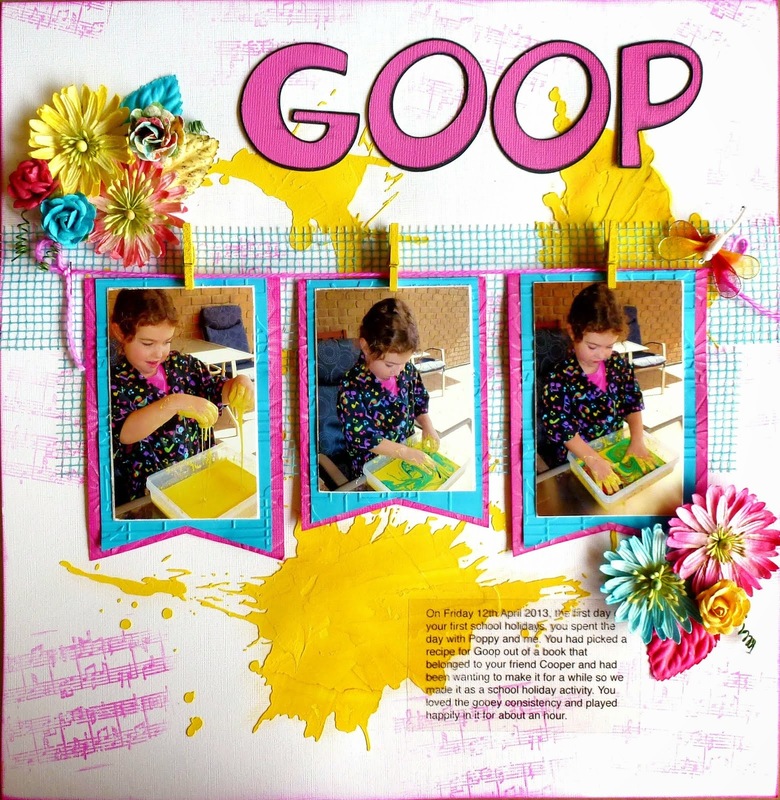 Hope you have enjoyed my tutorial and I would love to see any pages that this tutorial may have inspired you to make. Today I am sharing my DT Layout for Creative Inspiration Pop over and check the sketch and the other DT layouts. Try the sketch and see what you can come up with. 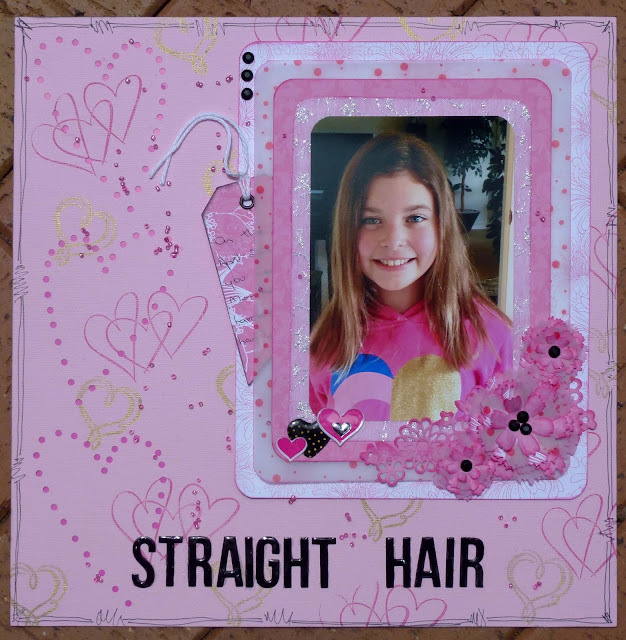 My layout is about my grand-daughter having her hair straightened at the hairdressers. She has got beautiful curly hair but was delighted to have straight hair for a couple of days. 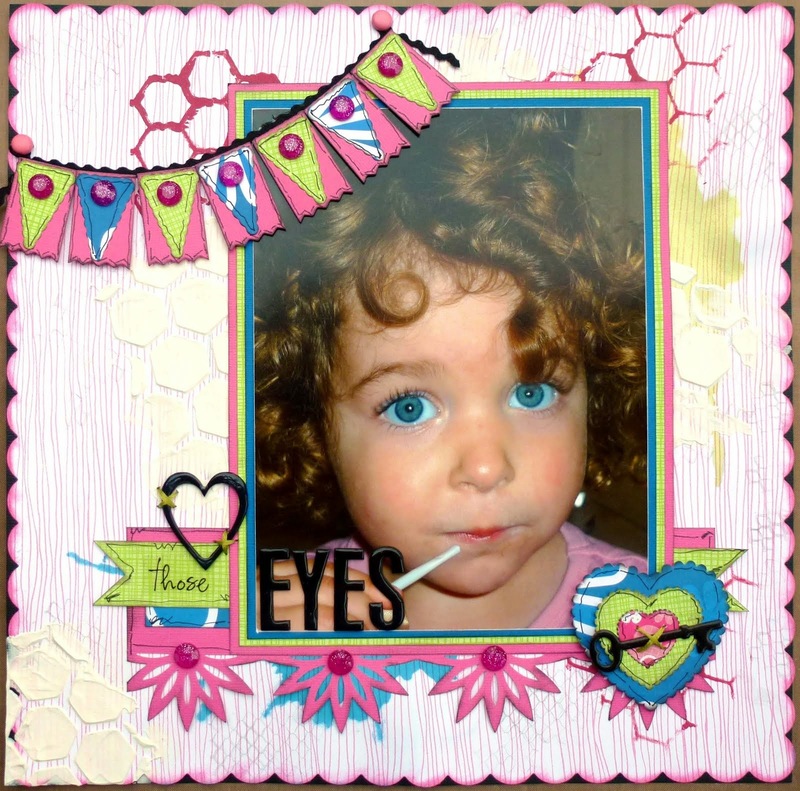 The pink background cardstock had the 3 heart shapes punched out of it when I bought it. I backed this area of the cardstock with bright pink cardstock to highlight the punched pattern. 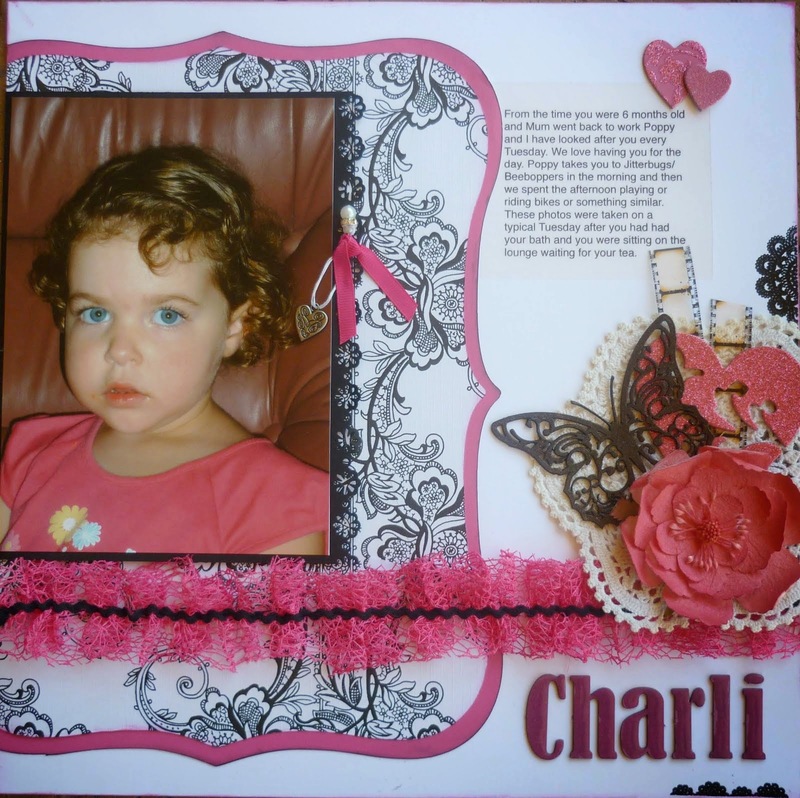 I have then added 2 different heart shaped stamps in pink and gold along with a doodled boarder. 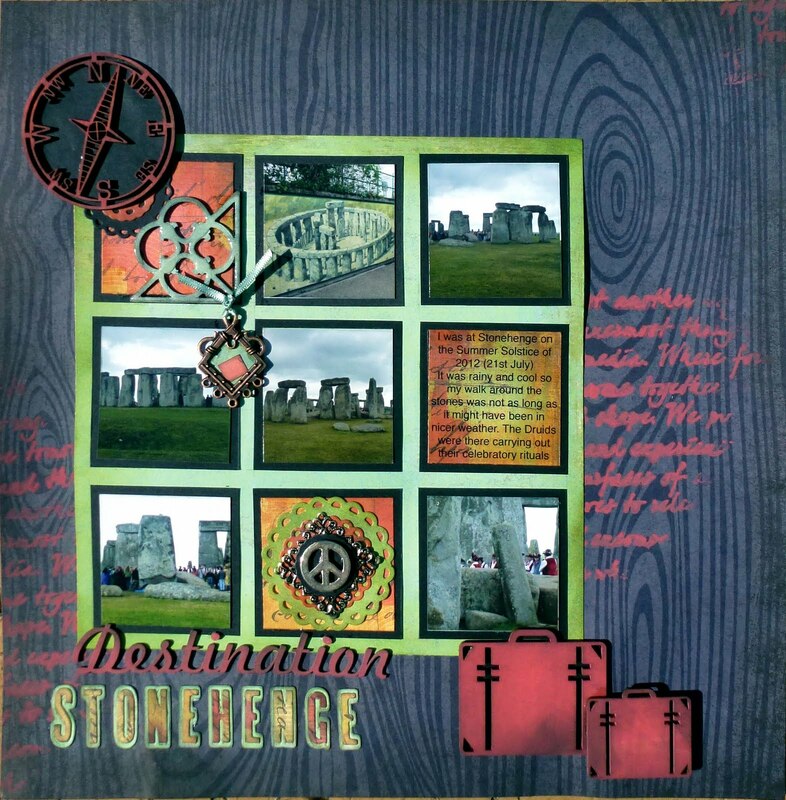 The photo is matted on Kaisercraft Lavender Haze patterned paper, velum and mulberry paper. 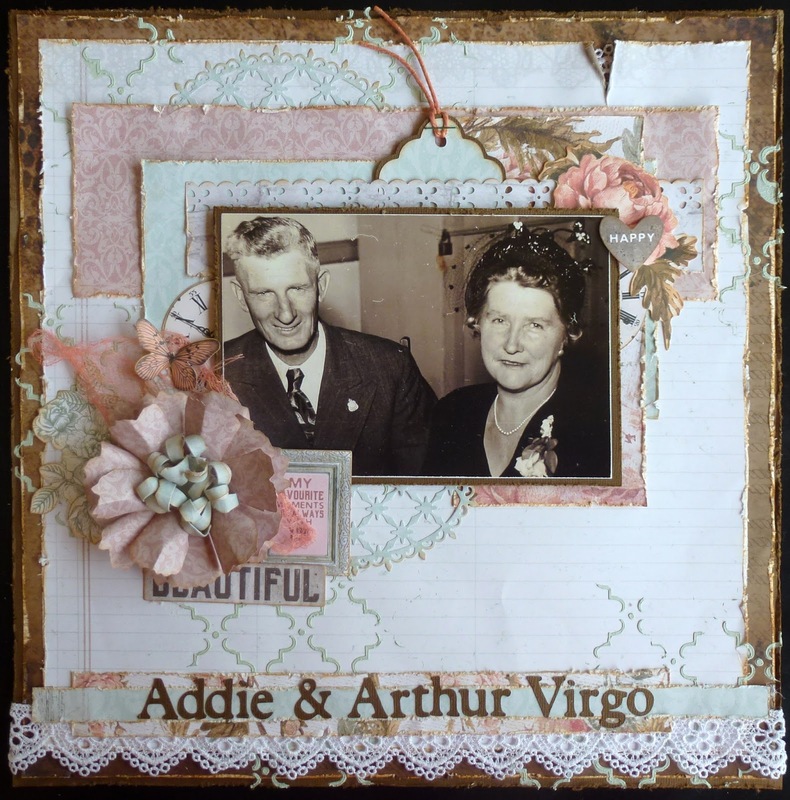 The flowers are made with the same paper and velum cut with a 6 petal flower die and sit on top of a Kaisercraft Floral Lace die cut. 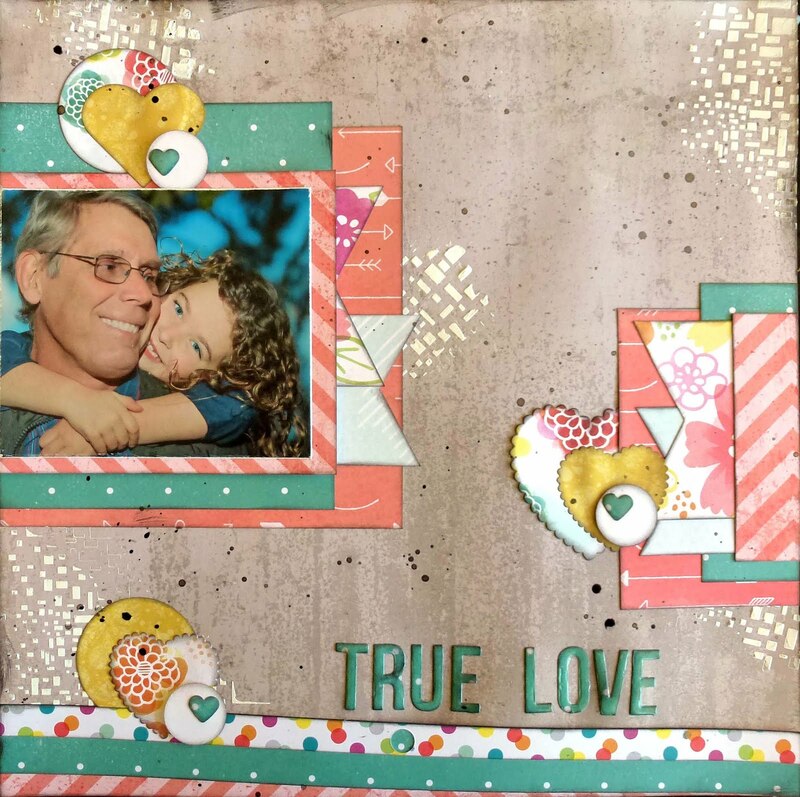 A tag cut with Kaisercraft Tag Shapes die holds the journalling that tells the story of the day. I then splattered some glue onto the layout and attached the pink beads. The title was cut with Kaisercraft Alphabet Upper Case dies and then coated with Glossy Accents. 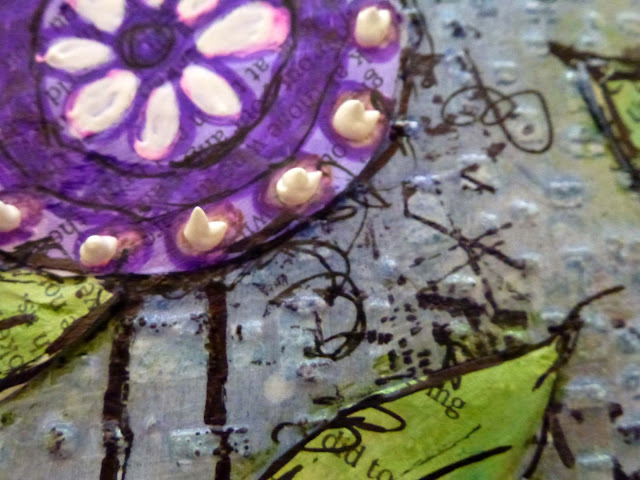 This closeup shows the punched detail in the cardstock. 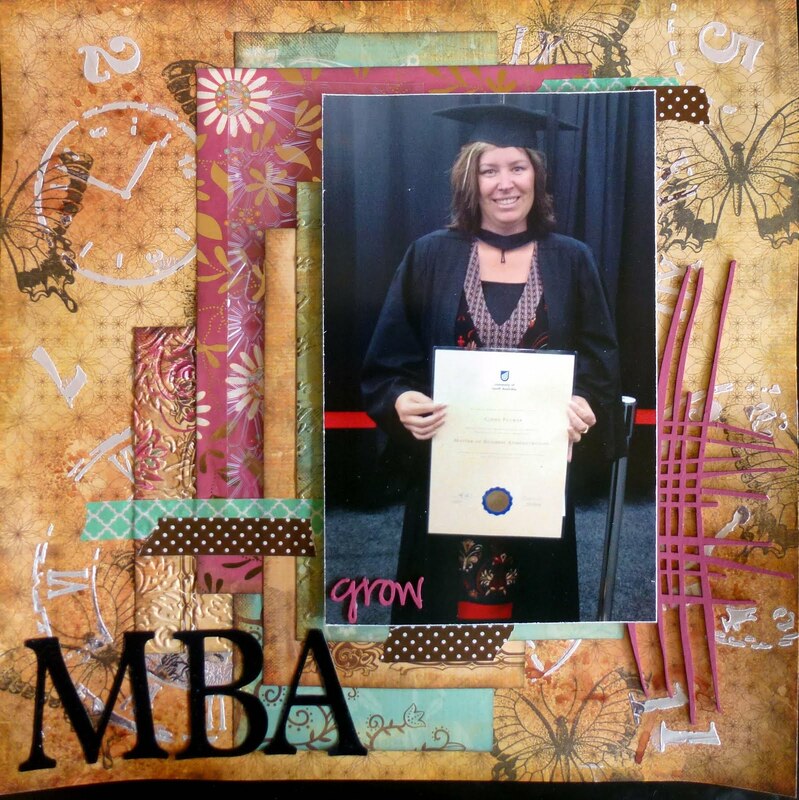 I am 5 days late with this post but I have been out of mobile reach attending my nephews wedding in Streaky Bay. It was great to catch up with so many family members. You should pop over and check out the work from all the Design Team. 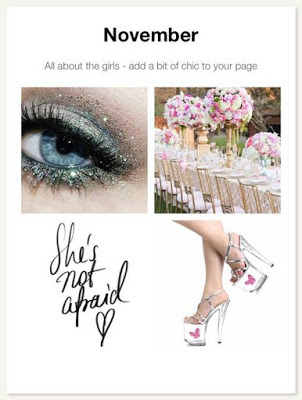 Because I am still away from home I can not give you the details of the products used so if you see anything that you would like more detail on please leave a comment and I will answer you when I get home in a day or 2.